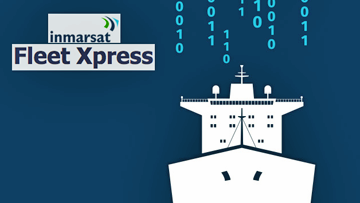 Marlink has become the first Inmarsat Fleet Xpress Value Added Reseller (VAR) to provide customers with a prepaid voice card calling facility, giving seafarers a low-cost and easy to manage way to call family and friends ashore. The prepaid facility is available through Marlink’s established Universal Card, Universal Card Go and Prepaid Talk products, making it easy for ship owners to start offering the service and providing familiarity for the crew members using it. Simplifying the process for both ship owners and end-users, all prepaid minutes on Marlink’s standard calling cards can be used on either the Ka-band Global Xpress (GX) or back-up L-band FleetBroadband elements of the Fleet Xpress service. The same prepaid minutes can also be used on other Marlink services including Ku and C-band VSAT, so regardless of the connectivity service available, seafarers need just one card to make calls to both terrestrial and mobile numbers. 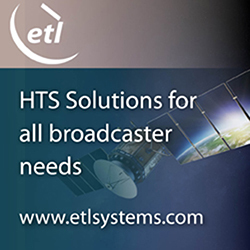 As a technology and frequency agnostic satellite service provider, Marlink was early to fully integrate Fleet Xpress into its global network by establishing interconnection at all three ‘meet me’ points; one for each GX region. This enables Marlink to make its portfolio of established and innovative Value Added Solutions available to Fleet Xpress users, such as the online service monitoring site Portal360 and SkyFile email and anti-virus products. It also allows Marlink to deliver an extra Quality of Service (QoS) layer through user-defined traffic prioritizing, which ensures bandwidth is always available for the most important applications. Marlink's Torre Morten Olsen, the President of the company. The continued integration of Global Xpress also enables Marlink to proactively report fully on the status of Fleet Xpress voice and data services in addition to showing when and why a vessel is not operating on the primary GX bearer. By giving access to reports including traffic statistics, real-time position of vessels, sailing routes, SNR stats, and networks and satellite beams currently being used, Marlink offers more pro-active support ensuring higher uptime and a faster response for troubleshooting. Marlink continues to develop its monitoring and reporting tools for Fleet Xpress, and will release more solutions designed to deliver operational continuity during 2018. 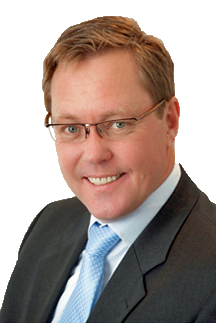 Tore Morten Olsen, President Maritime, Marlink, stated that the company is removing the cost uncertainty of calling home and allowing ship owners to provide easy access to reliable, premium quality voice calling on a global basis by bringing Fleet Xpress into Marlink's existing prepaid solutions. This latest development for Fleet Xpress confirms the company's focus to provide the smartest solutions regardless of connectivity, including the ability to offer an exclusive portfolio of powerful business critical and administration solutions to end-users that select Fleet Xpress through Marlink.